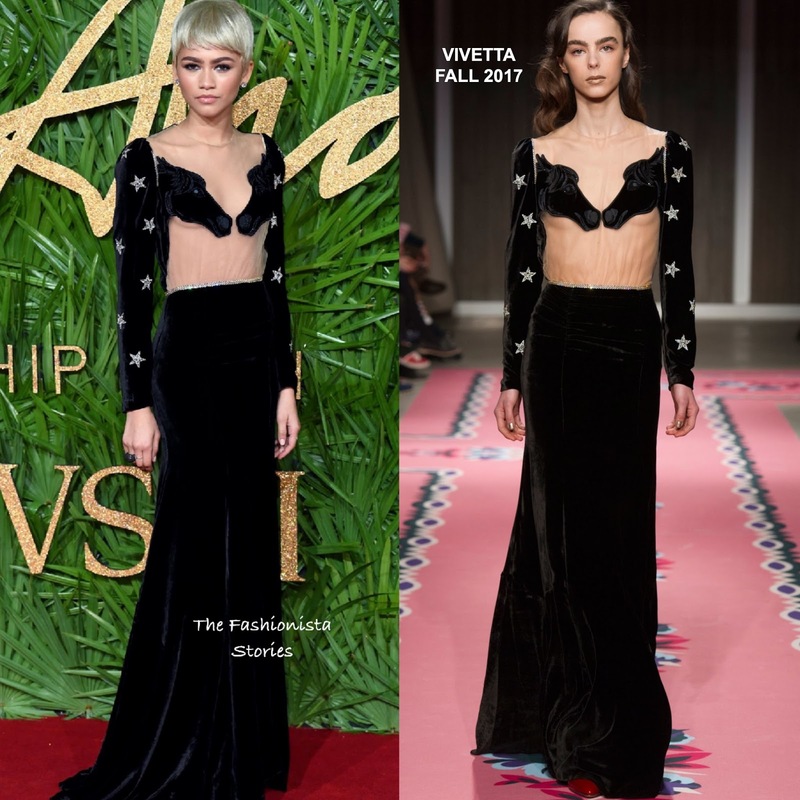 Zendaya was on hand yesterday evening(December 4th) for the 2017 Fashion Awards at the Royal Albert Hall in London. For the occasion, she turned to VIVETTA, wearing a FALL 2017 black long sleeve velvet floor length dress with Swarovski star embellished sleeves, Swarovski beaded waist panel and a horse & sheer embroidered bodice. For me, I love the idea of this dress but that sheer panel bodice is not working for me. Below the bust, it looks unflattering & ill-fitting on her & the model. However I love her faux blonde pixie & make-up. This is a miss for me. Do you agree or did Zendaya sell this look to you?